Last week Kayla and I were really craving corndogs. 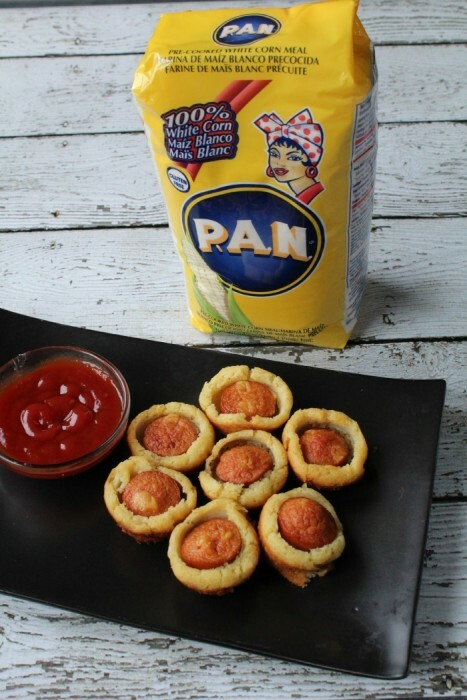 Now, I have made them from scratch before, but we weren’t really that hungry, so I decided to try my hand at making mini muffin corndogs using my new pantry staple – P.A.N. 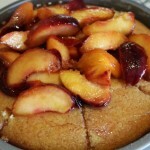 Cornmeal — and they were a HUGE hit with everyone! These delicious muffins come together in a quick and easy recipe. It literally took me about 15 minutes to whip these up which is a simple process, and then another 10-15 minutes for cooking. 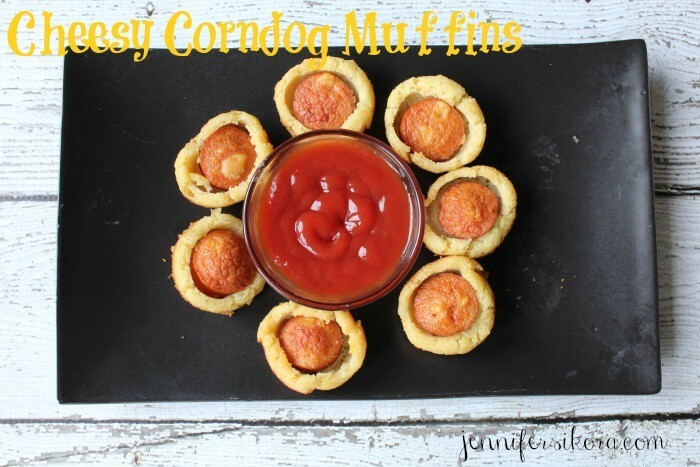 P.A.N Cornmeal was the perfect addition to these mini muffins — and I love what my daughter said to me as she bit into one — “Mom — these taste just like my favorite mini corndogs”. 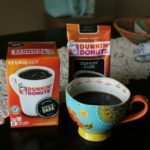 That was a total mom win for me! Cooking from scratch is really not hard at all. 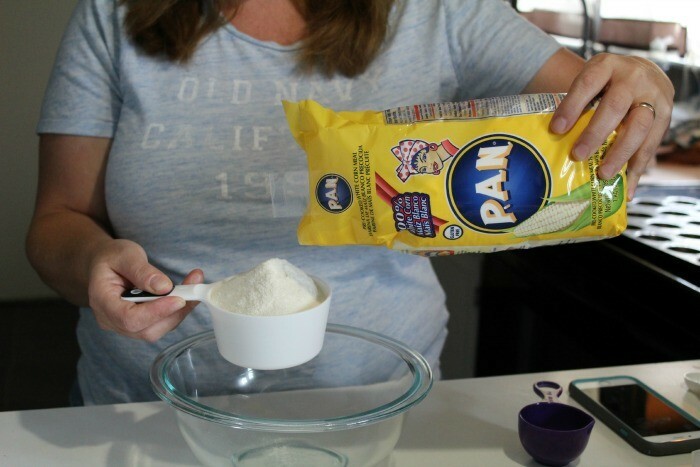 If you keep your pantry stocked with basic ingredients like flour, sugar, P.A.N. 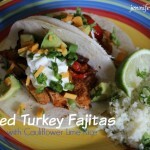 Cornmeal, and a few spices, you will be able to explore and create easy meals like these ALL the time! P.A.N. Cornmeal is the #1 cornmeal in South America but recently made its debut in U.S.A.
Take all of your ingredients minus the hot dogs and mi them together. Start with the P.A.N. Cornmeal and then add in all your other ingredients. Then with a spoon or spatula, mix together until it has all been combined. A wooden spoon works great for that. Then, take a mini muffin pan and spray it with non stick spray. Once you have it sprayed down good, take a tablespoon and fill each cavity about 1/2 way full. Once you get all of the cornmeal portion into your muffin tins, then take your hot dogs and slice them up about an inch thick. 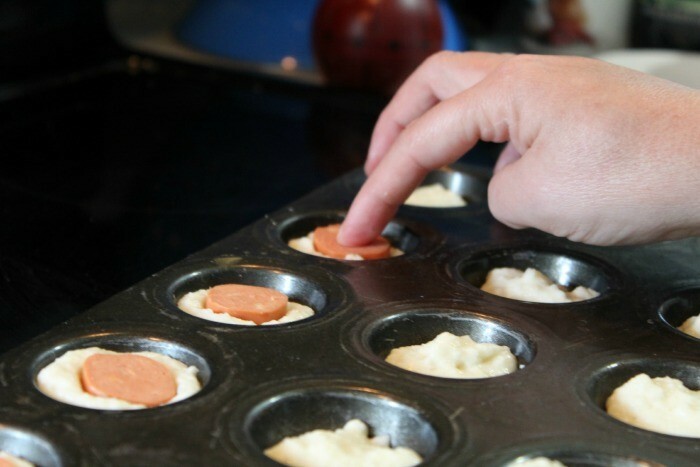 Then, place a slice into each muffin tin and push it down so that the cornmeal mix comes up around the hot dog. 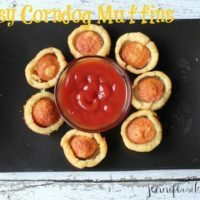 The reason that this recipe is called “Cheesy” corndog muffins is because I used the plump and cheesy hot dogs instead of regular ones. 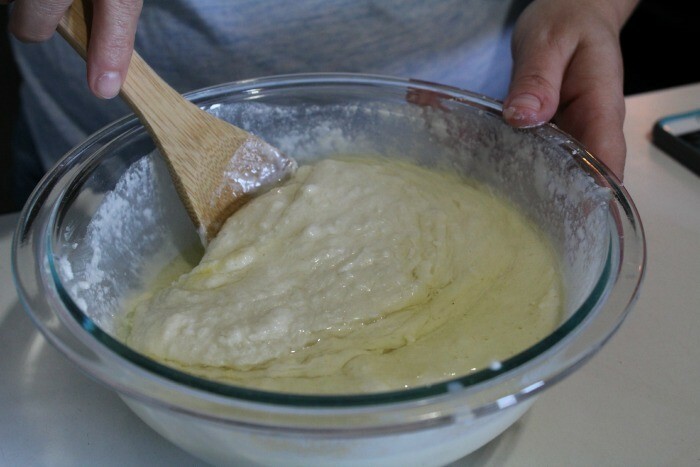 Combine corn meal, flour, and salt in a mixing bowl. In a separate bowl, combine milk and egg. 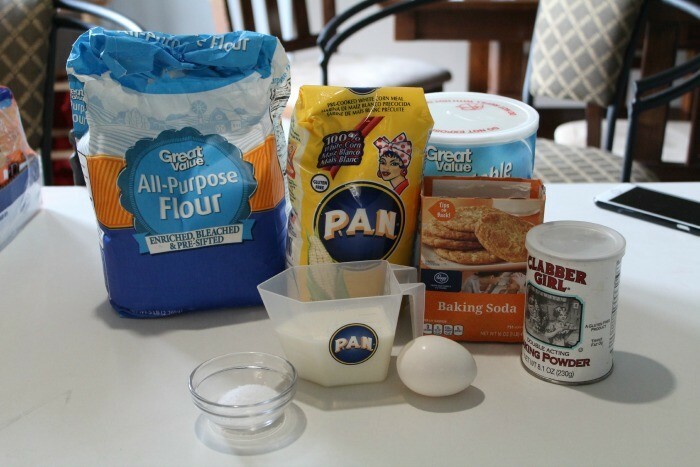 Add baking powder and baking soda to the wet ingredients. Stir into the dry ingredients. 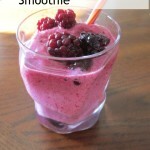 Add ¼ cup melted shortening, slightly cooled, stirring constantly. 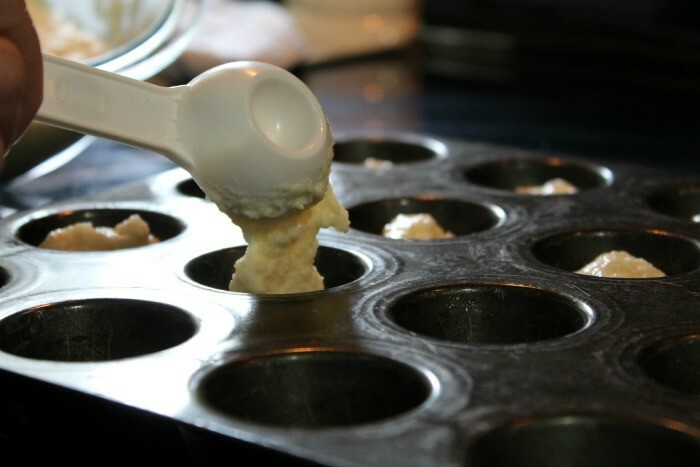 Spray mini muffin tins and fill them a little more than half full with batter. 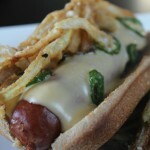 Cut a hot dog into pieces about 1" thick. P.A.N. Cornmeal has existed for many years, but is only recently making its way into kitchens in the USA. 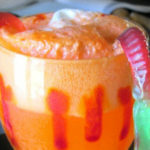 For a wide variety of recipes using P.A.N. Cornmeal, visit the P.A.N. Tumblr page. 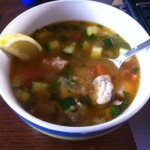 What are your favorite dishes you have made using pantry staples like P.A.N. cornmeal?